Doctors or medical field workers, we can engrave a stethoscope or even their business logo along with their name and a date! You know have a unique gift that this person can cherish forever. Police officers, Firemen, and EMS workers can have their assigned logo along with their station, car, or truck number and name. 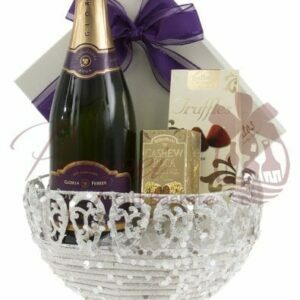 This allows them to relax with a nice beverage and also maintain a keepsake to cherish their fond memories. Law offices can pitch in for retiring lawyers and put a known quote from the lawyer, his business logo, or even both! We have even done gifts for retiring NFL and NBA players. 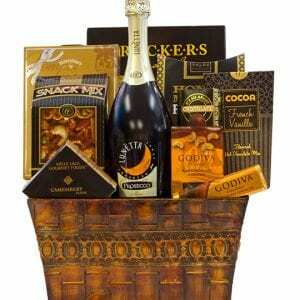 The clients put so much thought and effort into these mesmerizing gifts that we want to share the ideas with you. One client took their recipient’s favorite cognac and engraved their NFL logo along with retired jersey number, name, and Super Bowl wins directly onto the bottle! How cool? Another gift went to a now-signed NBA player right before the drafts. We were able to engrave his jersey directly onto the bottle and have been told it’s now a collectable in his trophy shelf. This was a custom addition to our Martini Madness Gift Basket. 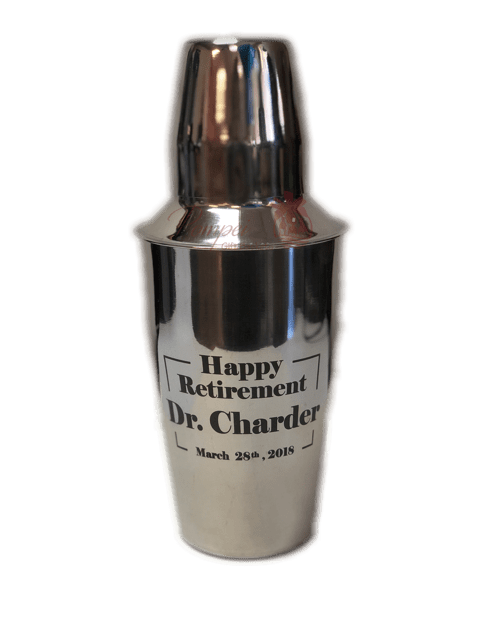 Our client wanted something a bit more practical than an engraved bottle but not as nostalgic as glasses. 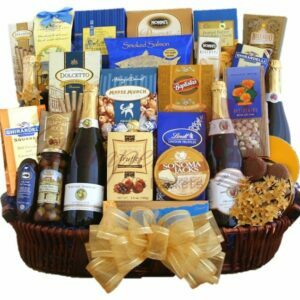 This added a great touch to a gift the recipient was to already love! We have sent this extravagant gift to actors from Blue Bloods, high-end CEOs, and fire departments for birthdays and thank you’s. 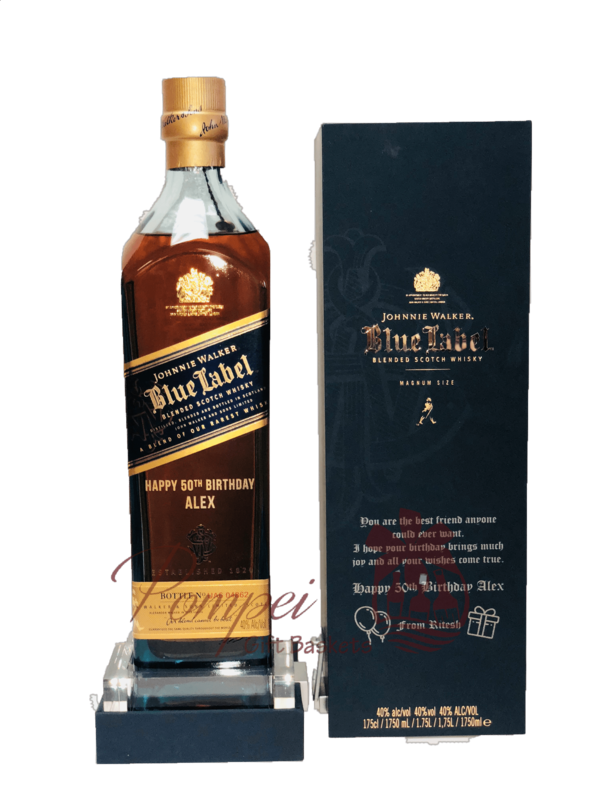 Without engraving, JWB is a gift in its own coming on a plexiglass pedestal and having a metal latched cover. 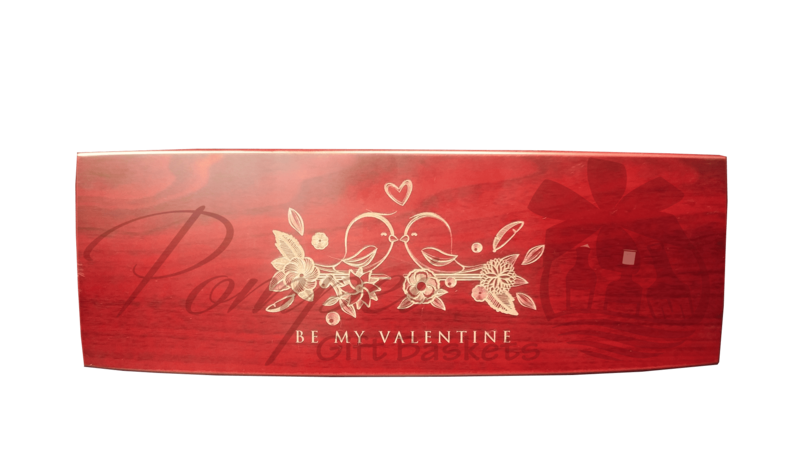 We can engrave both the bottle and the box for an extra grand statement! You can even engrave the flask! Remy Martin is a popular brand on the market and we fully understand why. Mellow butterscotch, baking spices, and hints of dark chocolate should be fully savored while enjoying this cognac neat. In a wooden trunk, we partnered this exceptionally round spirit with a hearty cigar, crackers, cheese spread, nuts, pretzels, chocolates, and other snacks to compliment the nutty aromas of the Royal Accord. Just in case you’re not relaxing on your day off and you’re on the go, we also added a flask so you can enjoy the notes of figs and plum marmalade. 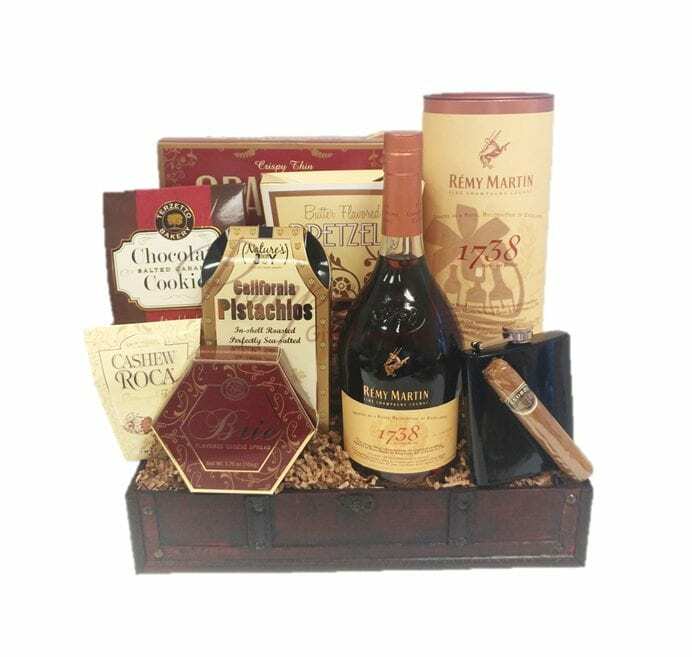 Although great for any occasion, we think the Handsome Day Off Cognac Gift Basket would make a great Father’s Day Gift for the special man in your life. It’s unique, creative, practical, and can be delivered right to their home or work place! Engrave the bottle, shaker, or even brand the container! A gorgeous serving tray holds the little secret gem. 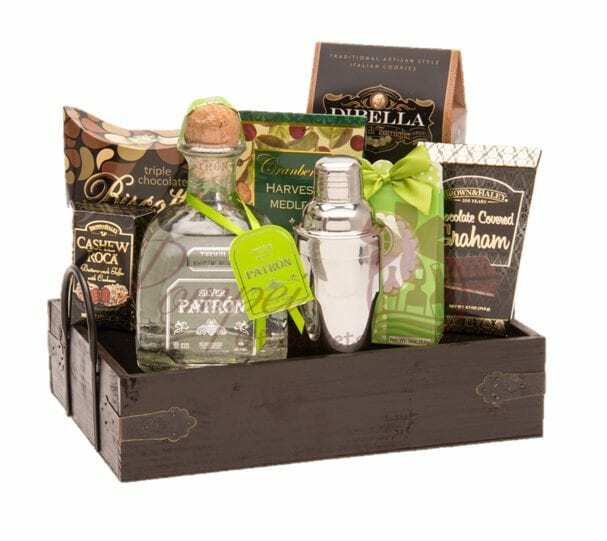 Surrounded by crunchy biscottis, luscious chocolates, and a shaker, a bottle of Patron Silver Tequila sits. Margarita mix and other goodies try to hide the tequila but you are smarter than that. You know all the good things are in the middle. You can’t wait to dive in! 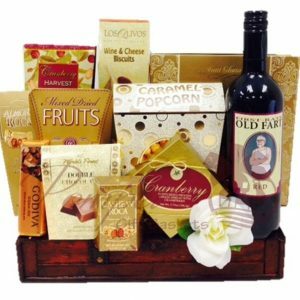 This stunning cherrywood wine box comes with all the accessories needed for a wine connoisseur or champagne lover. The wine box contains a corkscrew, bottle stopper, pourer and drip ring while the champagne box includes a cork popper and bottle stopper for freshness. Engrave with your company logo, inspirational message, or favorite landscape photo! This entry was posted by Daniela in Uncategorized.